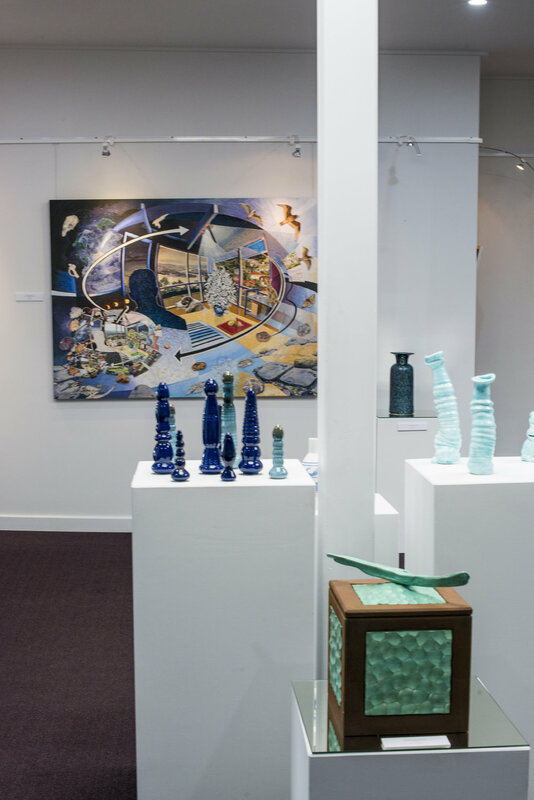 Rosevears Art Gallery proudly showcases a collection of local artists' work. Enjoy a coffee (or a wine) and wander through the Art Gallery to enjoy a wide variety of works. You will see pieces that are practical, pieces that are beautiful and pieces that are masterful within a relaxing and unpretentious setting. The range of pieces in the gallery include water colours, prints, oils, furniture, textiles, ceramics & other sculptural forms including some fabulous wire pieces. We proudly present the work of local artists. Northern Tasmania has many fabulous established and emerging artists. The gallery is kept fresh with changing exhibitions. The gallery space gets used for functions and events from time to time, bringing new audiences to appreciate our local talent in a unique setting.